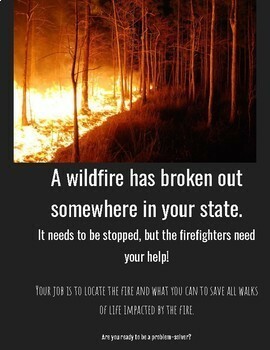 Are you looking for a way to entertain your kids, but also teach them about wildfires and the importance of fire safety? This digital break out can be run by the kids, NO PRINTING, but you can work alongside them if you'd like. 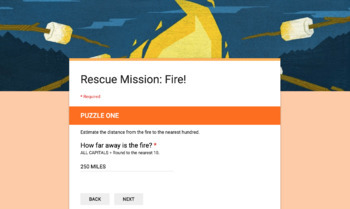 Students can read Newsela articles and real fire statistics in the document, or you can print them. 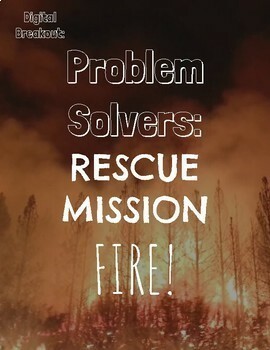 Problem solving skills are 100% necessary and almost always need work. Test your students in this digital breakout! It's sure to be a hit! Students can read a leveled texts, 400-560 lexile, and solve the puzzle related to information in the articles. Students will use their code breaking skills to unscramble words, decipher number and letter codes, and have fun doing it! This fits well with Earth Day! Share the importance of fire safety with your kiddos! 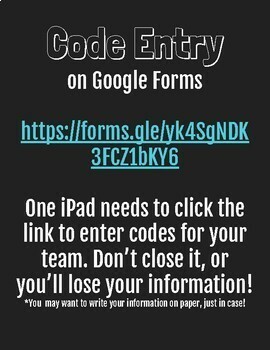 Use the Google Form for them to check their answers! If they don't have the right answer, it'll stay locked! It's that easy! Check out my instagram post on my other breakout! ***I put the answer key and hints in the preview for this document. Feel free to download it as needed.